It's not what's on the outside that counts. 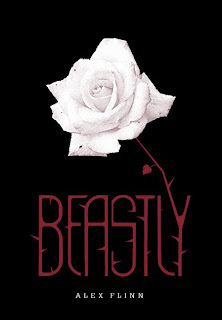 Beastly was a really wonderful read. It is everything I look for in a romance novel- funny, sweet, and original. You may know the story of Beauty and the Beast, but you've never heard it told this way. Instead of a Disney prince, Kyle is the popular boy at a private school. He's lived his entire life believing that the was better than most because of his looks and money. Lindy is a shy, quiet girl who attends Kyle's private school on a scholarship. Before Kyle's transformation, he'd never given Lindy a second glance. That all changes when Kyle becomes Adrian, a beast with no one to love or to be loved by. Flinn combined many aspects of the different Beauty and the Beast tellings. It was interesting to watch these fairytale happenings unfold in today's world. The story was still original, even though it followed the basic plot line of Beauty and the Beast. I loved seeing the story told from the beast's point of view instead of the Beauty's. I got to be with him as he changed from a spoiled, vain boy to a caring and considerate lover. I liked the main character, Kyle, after he got over himself, and I felt sympathetic to his problems. His change of character begins slowly, and it was never forced or rushed. The reader can really appreciate how Kyle turns his life around. 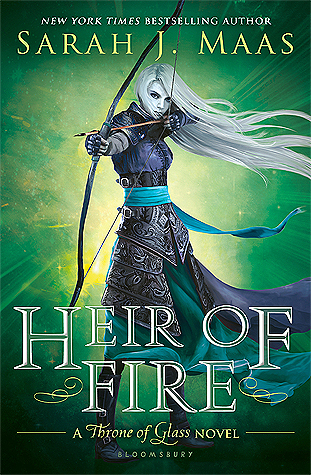 The pacing is nicely done and will keep the reader interested and entertained. I would most definitely recommend this to any reader. It is a sweet tale of skin-deep beauty and true love. I think I'll look into more of Flinn's novels since I enjoyed this one so much. I bought this book over a year ago but for some reason have never gotten around to reading it. Now it's going to the top of the list!